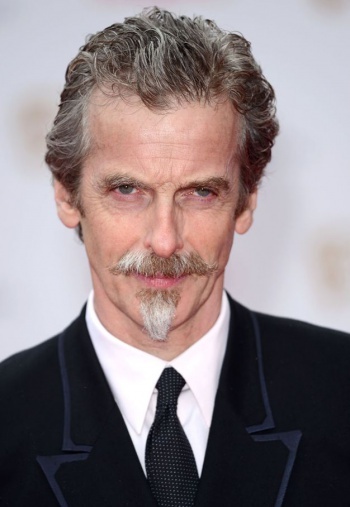 Doctor Who is passing the sonic screwdriver to a new actor: Peter Capaldi. Fans of Doctor Who are familiar with the regeneration process: the Doctor's appearance changes every now and then as the reins are passed to a new leading actor. The 2005 reboot of the show has seen three incarnations of the Doctor: Christopher Eccleston, David Tennant, and Matt Smith playing the 9th, 10th, and 11th Doctors respectively. Now, it's time for the 12th Doctor to take the stage: Smith is on his way out with the 2013 Christmas special episode, to be replaced by the one and only Peter Capaldi. Show producer Steven Moffat had considered Capaldi for the role of the 11th Doctor, but decided the time wasn't quite right. Capaldi previously made a brief appearance on the show during the 10th Doctor's run, playing Lucius Caecilius in The Fires of Pompeii. More recently, he's played a different variety of doctor in World War Z and is possibly best known from The Thick of It. "It's so wonderful not to keep this secret any longer," Capaldi said during the reveal broadcast on BBC. "I haven't played Doctor Who since I was 9 on the playground." The 55 year old actor is a notable change from Smith, who was the youngest Doctor in the show's history. Smith wished his successor good luck in the role, saying, "There are no parts like this. I loved it, I'll miss it, but when you gotta go, you gotta go." Doctor Who will resume this Christmas with Smith's final episode before Capaldi steps into the TARDIS.